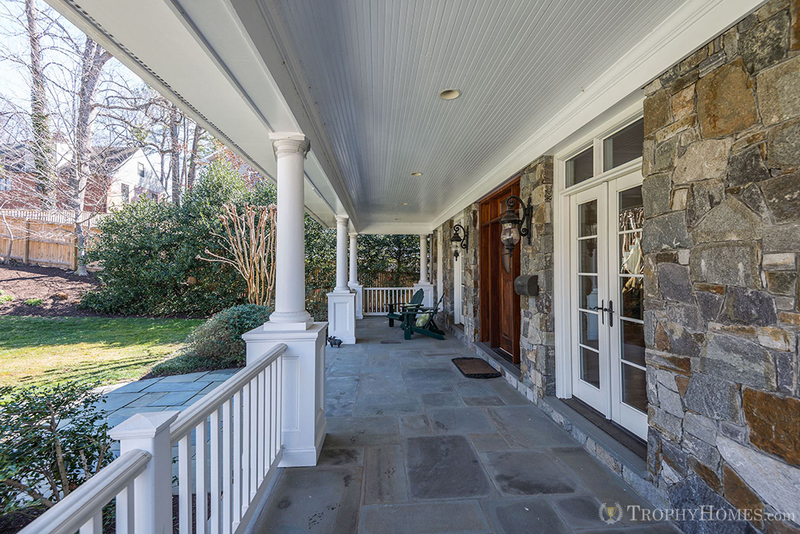 On a quiet street in Bethesda's Glen Echo Heights neighborhood sits a custom colonial designed and executed with a commanding sense of proportion. 5409 Tuscarawas welcomes you home to 7,100+ square feet of space where no corners were cut or details overlooked in creating a residence that serves its owners and guests alike with ease and grace. Often the scene of intimate parties as well as large social functions, the extra wide center hall way allows guests to flow unimpeded from room to room throughout the 2,500 square foot main level. The oversized kitchen was designed to accommodate two chefs at work simultaneously, assisted by a "who's who" of appliances including a Wolf gas range, large Sub-Zero refrigerator, two dishwashers, and two full-size sinks. The very large island has shelves for cookbooks and wine bottles, and seating for three on stools with generous space between them. 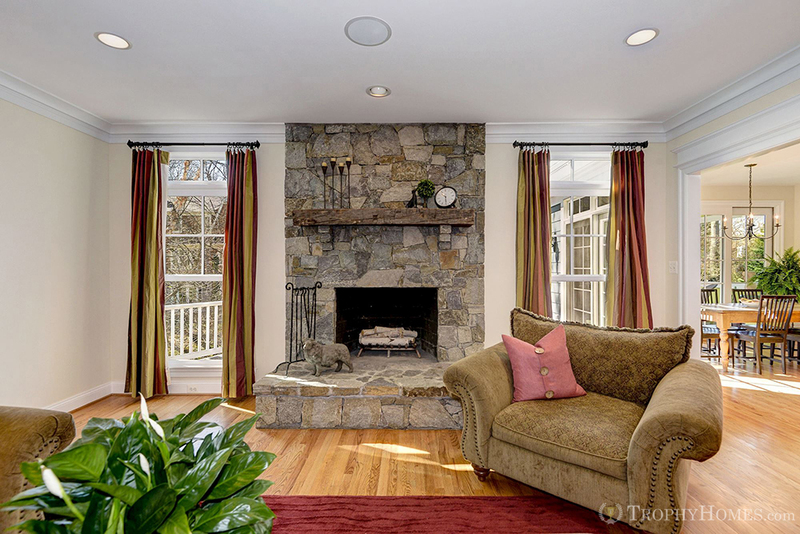 At one end of the kitchen, the breakfast room seats 8 that opens out to the ever popular screen porch and deck. Though the butler's pantry, the formal dining room regularly seats ten and often more. On the upper level, four bedrooms await including a master suite of awesome size with gas fireplace, walk-in closets, and a splendid bath with marble appointments. A separate guest/teen/au-pair suite offers privacy and the extra space you're looking for. 5409 Tuscarawas is placed at a pleasant angle which lends great street presence and makes maximum use of this larger lot. Because the terrain slopes away from front to rear, the main and lower levels are both level with the ground and provide full daylight throughout. The garage is next to the mudroom area so you can enter from the garage to the first floor. 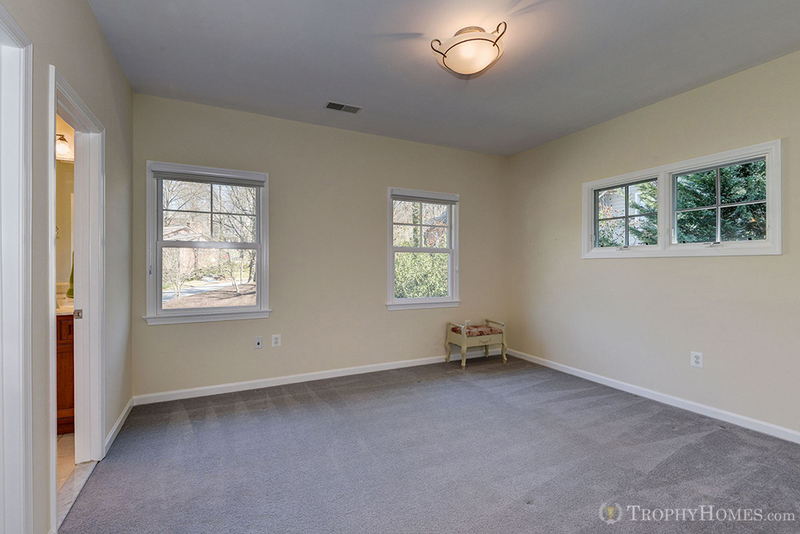 This large lot also afforded the opportunity to build another large bedroom and bathroom above the garage with access from the mudroom hallway. The lower level also incorporates a large recreation room, separate gym and a sixth bedroom with en-suite bath. The streets are lined with hundred-foot-tall tulip poplars and oaks, providing a leafy canopy over much of the neighborhood. The property is also located in the celebrated Walt Whitman school cluster. Don't let the country feel fool you, this Bethesda neighborhood is minutes north of the D.C. line. Commuting into the city is a breeze through Embassy Row along Massachusetts Avenue. Residents can walk to the Shops at Sumner Place, home to Safeway, CVS, and three restaurants, including Passion Fin, an Asian fusion spot. Bethesda Market, which makes sandwiches and has a selection of wines, is among the other retailers. Nearby is Whole Foods as well as abundant shopping and dining options in both Friendship Heights and downtown Bethesda. Head the other way to the C&O Canal with its endless toe path, The Capitol Crescent Trail, and the Potomac River to connect with the outdoors. The neighborhood also enjoys easy proximity to Glen Echo Park itself, home to many art and cultural events year round. The area is served by Montgomery County’s Ride-On buses. Destinations include the Friendship Heights station on Metrorail’s Red Line. Metrobus also has routes in the neighborhood, including service through Georgetown to downtown Washington.